A two day event for all the family to enjoy! Friday 21 April - Saturday 22 April. Throughout the day and evening local musicians will be showcasing their talents live on stage. 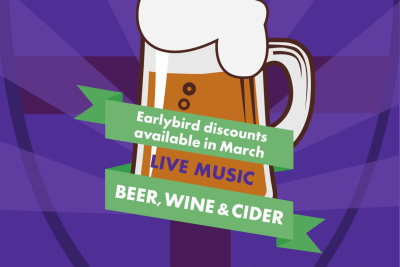 Weybridge beer festival is a family event with Morris Men dancing, Bouncy castles, children’s entertainment. A fun day out for all the family.